Freeletics is a fitness-program that combines high intensity functional body weight training with running exercises. This is the first part one of a little series I am planning for a while now. I would like to share some little games we use to do in our training group, usually after the workout that are fun, but also challenging, especially if you do them in a group. How long can you bring sally up?! Try it! 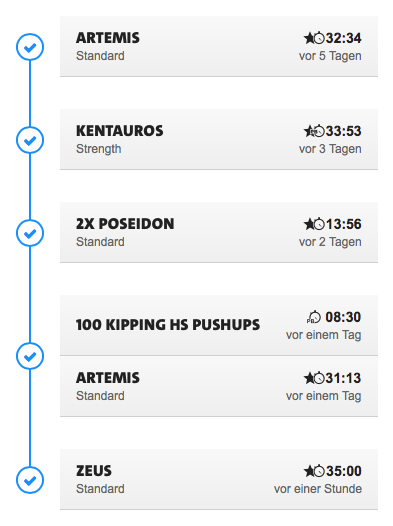 Freeletics coach – Week 15 HELLWEEK!! 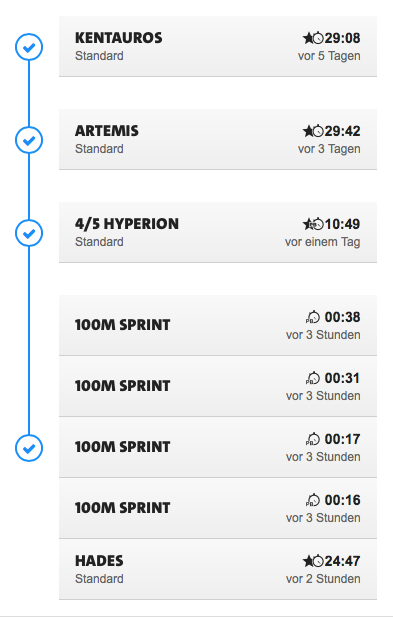 The 15th week of a Freeletics program is essential – it’s the Hellweek! That means 7 days of training, no rest-day and always giving everything. The mere amount of exercises might seem impossible at first – but you are a Free-Athlete and nothing is impossible! Just keep going, you will be surprised what potential you developed over the past weeks. During this week you will put your body under huge stress, so the key elements of a healthy lifestyle (like mentioned many times before) are more important than ever! I can not stress it enough: Eat clean, sleep enough (7-8 hours) and trink a lot of water! During Hellweek the recovery phases will be extremely low so you need to provide your body with the best you can do in this short periods. The most challenging part will be the mental negotiation to do a workout every day. After 3 or 4 days you will reach the edge of your physical capacity. Your workout times will become longer and that is normal. You might want to take a day of and if you must, you can. This was my second Hellweek and as I remember, during my first Hellweek I did a rest-day on day 6 – but did the 6th and the 7th workout on the last day. 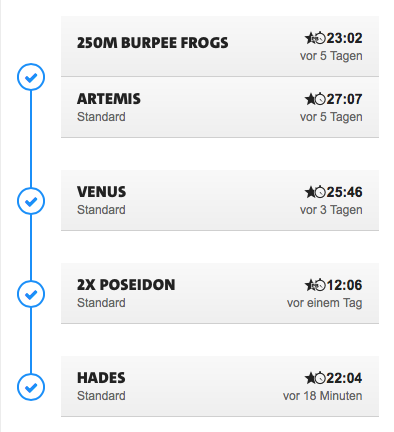 This time I went through with the whole thing and even did some extra exercises and broke a lot of PBs even on the second half of the week. To overcome this immense workload will make you strong – mentally and physically. But let’s not talk – let’s do it! Have fun with the Hellweek and don’t let it get you – you can do it! But anyhow, now christmas holidays are about to start and it got a little more quiet and I finally found the time to write this post. 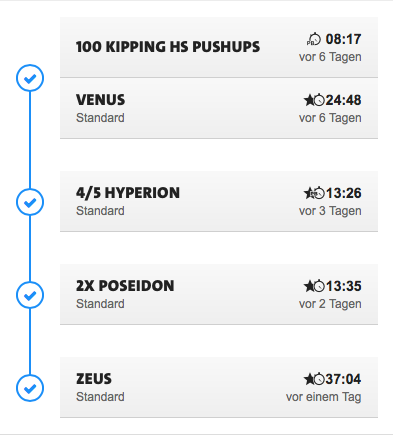 During the past two weeks the freeletics workouts were a really good distraction from work. Nothing is better to clear your mind after a hard business week than a good and intense workout – besides alcohol, but you feel much better afterwards…So, today I want to talk about how freeletics – or sports in general – have an influence on my performance at my working place. Training made me much more resistent to stress and increased my productivity. Before I worked out so much, being at the office for 8 or more hours exhausted me. It was hard to work extra hours and if I did one day, I left earlier on the next day because I had no more energy. And even on a normal working day, I felt that my productivity was at a really low level for the last 2 or 3 hours at work. On a stressful day, this point was reached even earlier. Most of the time, when I returned from work I was so tired, I didn’t want to go out anymore. First, I feel better than ever before in my life. Eating healthy and habitually doing sports are the basis for this. If you are in a healthy and physically good state, progress will come and with progress comes self-esteem and confidence. And other people realize this and they will treat you in a much better way. You can work much more productive because your body is much more reliable and during stressful times it is easier for you to focus and keep your head clear. I realized this in many grueling meetings during the past days where complex things were discussed over hours. Most of the people got confused, lost their focus, got angry or backed down completely. And even though I was a rather small fish among these people, it was me who tied the important topic back on the agenda or showed solutions when it seemed like we ran into a dead end many times. Before I changed my lifestyle, I was rather the guy who was sitting in meetings and just trying to follow and it was always another person who brought up the solution. Another key factor is the will to take challenges. If you are doing high intense sports, you will not be able to avoid challenging yourself. And if you do, you will see that almost every challenge can be achieved if you just try it. You may fail for the first time, but in the end you will succeed. You will learn that every challenge, however big it may look, can be beaten. You just have to keep going, focus on the next step but not loose the main target…And always care for yourself. As I said, a healthy body is the basis for all this. Eat clean, do sports, sleep sufficient, trink a lot (water or tee) and no or at least just a little alcohol. You can see the workouts I did in week 13 and 14 in the two pictures. Week 15 is going to be the last week of this coach ( the coach will continue but I will stop to write a post every week). It is going to be a hellweek, I know this because I am already in it and almost at the end, as I am writing this lines. But you will see it next week. Until then, keep going, take your vitamins and remember: even though life is hard some times – you can be harder! This week I decided to take 5 training days instead of my usual 4. It wasn’t really so, that I had more time this week…but I just wanted to try something new and to change my workout-ryhtm. It’s all about variation to keep things interesting. So, getting the 5 days done was hard, furthermore I had a really hard week at work and stayed in the office much longer than usual – but I made it and it feels like a huge progress now. If you remember, I unlocked the “Handstand-Pushups” skill last week, and this weeks workout plan already included a lot of them. Doing 100 of them on the third day was almost impossible, I had to switch to pikes after 10 repetitions. But thats another great thing on Freeletics, it always gives you new challenges you can work on. I also got the Freeletics nutrition guide this week. 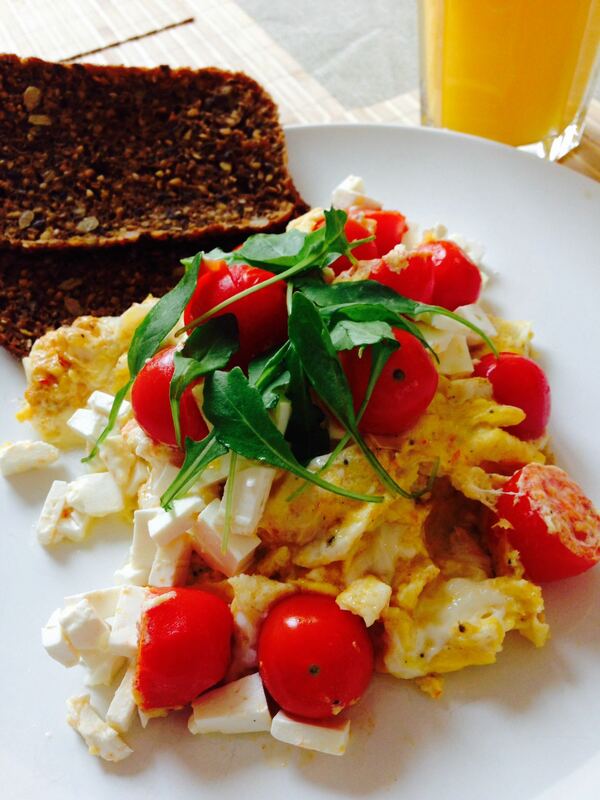 Lately I ran out of ideas for healthy and protein rich meals and ended up eating a lot of low fat quark, eggs and protein muesli. 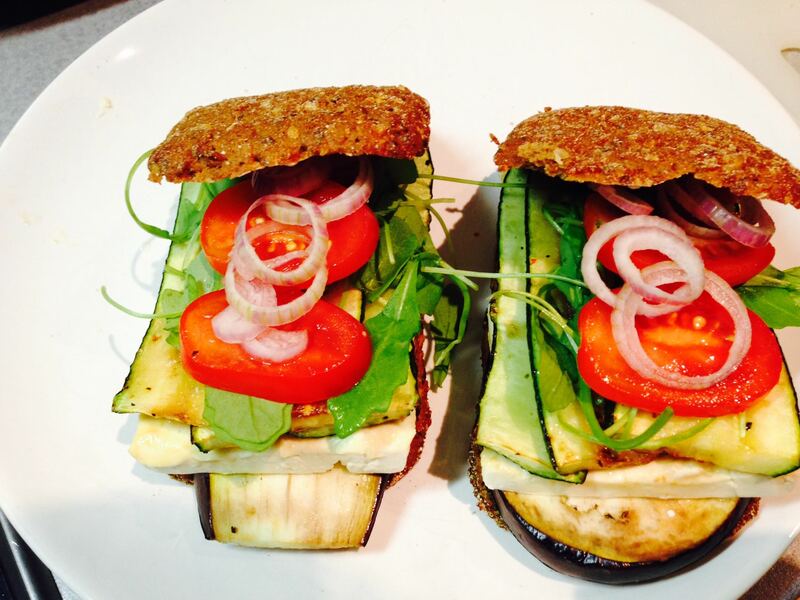 The nutrition guide provides you with recipes and general tips for a healthy nutrition. 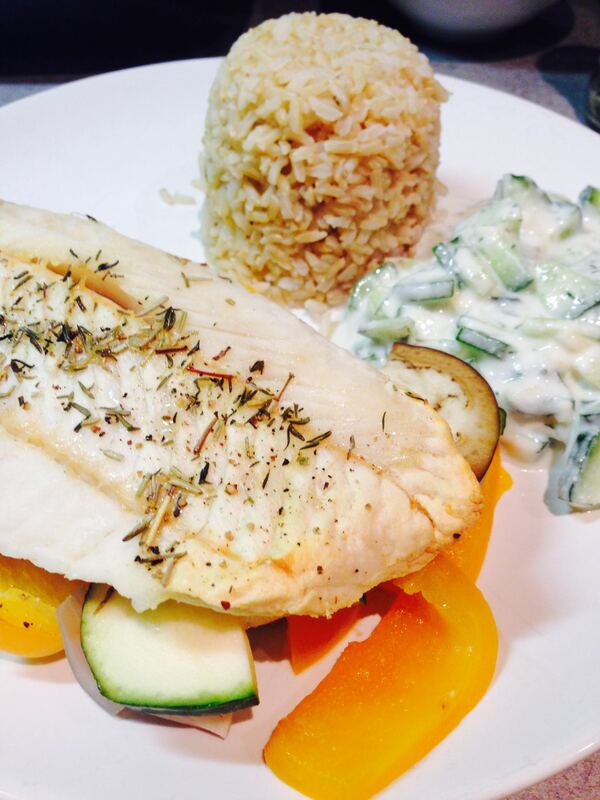 There are two kinds, one for loosing weight and one for building muscles. I chose the second one. It starts with an introduction that reminds you to eat more protein and less industrial sugar, fast-food and instant meals – but I already stopped doing this when I started with Freeletics. It also has 6 recipes, two for each meal of the day. I tried everything this week and I have to say, they are really good. 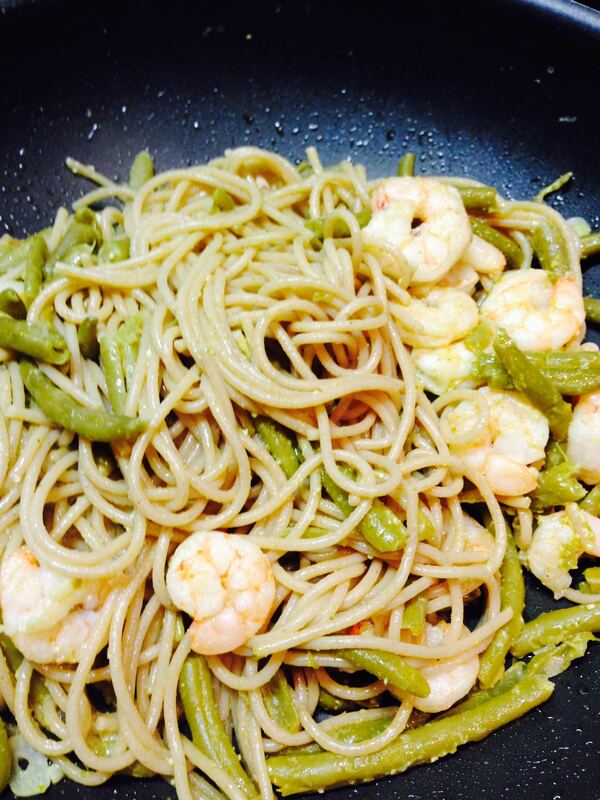 The recipes are rather simple and usually I cook in a more advanced way. But I tried all of them without any modifications and the result was always good. 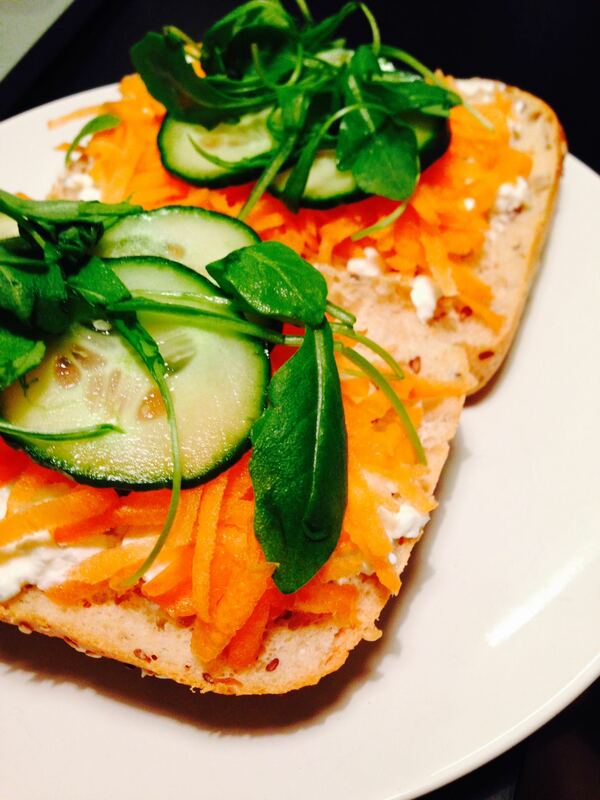 Here are pictures of my breakfasts this week. 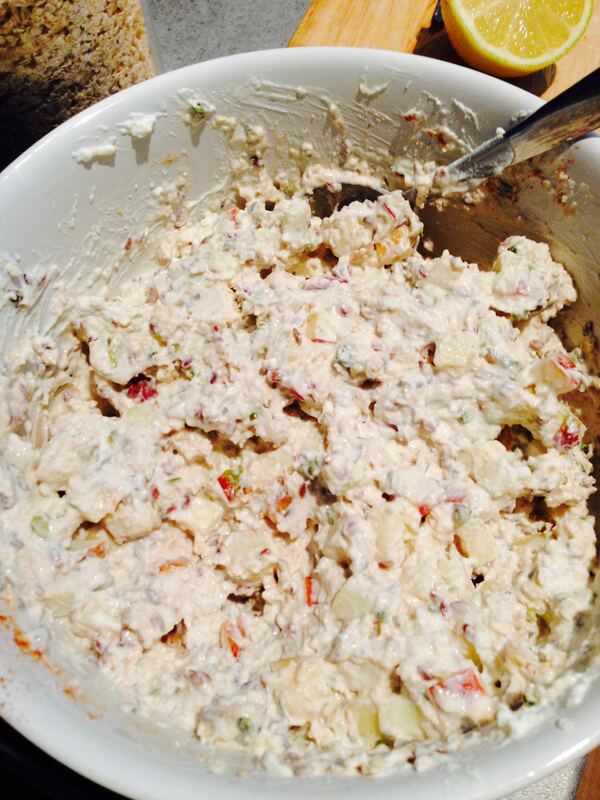 The bircher muesli was really good to take to work and I could prepare it in the evening – very nice. There also was huge a jubilee this week – I completed my 200th workout. And like my 100th it was Zeus…amazing coincidence or what? So I am looking forward to the next 200! Cheers everybody and never give up! This time it’s two weeks in one post. The first day of week 10 was hard – a lot of Burpees. If you hate Burpees and sometimes ask yourself why you are doing this to you, check out this page and join the million-burpee-challenge. To see how many crazy people are doing this many Burpees every day might push you. Apart from this my week had the usual Venus sessions. I think almost all of the past weeks had at least 2 Venus workouts..and I can see and feel the 200 Push-ups on my chest. I would say it is in a better shape than ever before. I also broke my PB again, slowly but constantly I continue to make progress. 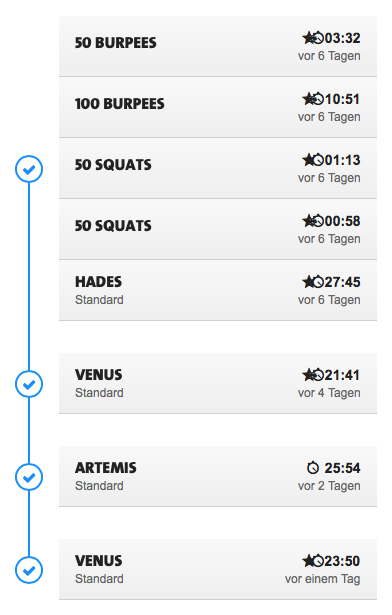 My workout-plans became a little bit one-sided lately, a lot of Venus, Artemis and Poseidon. To unlock new workouts, you must acquire new skills on your freeletics profile. These are advanced exercises that are extra tricky and you might need a lot of strength or balance. Do not worry if you can not do them from the beginning – I think no average person can do this. In the image below you can see the available skills and wich I unlocked. You unlock a skill by doing one repetition according to the rules in the describing video. This week I unlocked the Strict-Handstand-Pushups. This is a crazy exercise. You need to stay in balance while all of your blood rushes to your head – and then you do pushups. It took me a while to find the right balance, take care that your hands are not too close, as it is much harder then. Also try not to make a hollow back – tense your shoulders and your back. I did around 5 repetitions to find the correct technique. During the first two I bent one of my legs – this stabilized my stand and helped me to find the right position for my hands. Go ahead and try it. Now I will see how this new skill influences my weekly workout plan. I also tried to do a one-hand-pushup…but this was too hard. 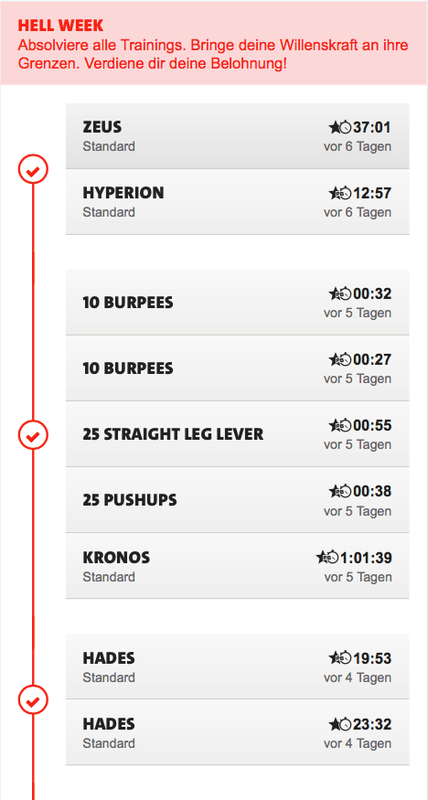 My upper body did not move an inch away from the floor…long way to go! 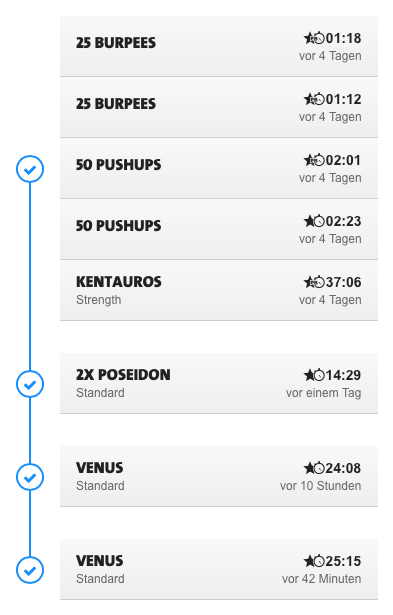 I checked my profile and I do Freeletics now for over 6 months, thats a half year with at least 4 times sports per week. I never did sports in that intensity for this long before. But the diversity of the generated workout plan and the fast visible progress make it that easy. It is like an addiction – but with only positive effects. In the last post I talked about the new warmup pro that I unlocked in week 8. I found this video that explains the whole warmup routine. I think that explains it much better than I could with words… Enjoy!